Since there was the Penguin 2.1 update and Google Humminbird ive decided to share more decent tier1 tools with you guys. 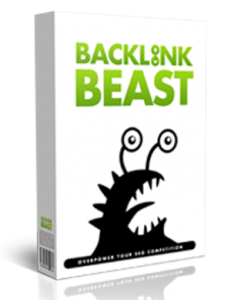 Backlink Beast is one of them! Best Links For Tier1 ? Due to latest changes in Google the only way to rank sites is put quality content on tier1 with big trust rank, then spam them with next tiers. This is one of programs thats decent for slow and steady rankings after Penguin or other Animal pdates. Here comes time to review Blog Net Bandit. DO NOT BUY THIS – RICHARD ABELSON from K-Rev Solutions, going with nick Aces1up is a known scammer banned now on all Forums (WickedFire, BHW) If you bought – get refund asap. What is Blog Net Bandit ? Ive made BLG review long ago, propably 2 years even. But this linkbuilding software/service whatever you call it deserves a total revisit. It grew better and never got down unlike competitors. 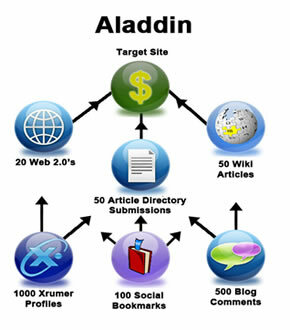 I wont be wasting time here writing why you need automated solutions i will just get on what types of projects/links Backlink Genie can currently create and why are they powerful. After Penguin i get lots of emails and PMs on forum about ‘what to do now‘. Since some time i was coverign here more and more whitehat methods of linking [meaning – secure for whitehat sites] and ways to get traffic without google. Here is something that mixes both of that – decent quality links and traffic interested in what you market to them – The BuzzBundle. We had review here of alot of great seo software yet since the blog is very old and most things are evolving i will need to do followups to some. You remember ZP3 post?Imagine this automation tool got even better now! ZP was totally one of the best seo tools you can find. Just with it you could actually make any bot without a hassle nor any coding language. Now it got even simpler.